Aside: Getting Something from Nothing? Embodiment is the organization of physical energy, which, itself, can neither be created nor destroyed. 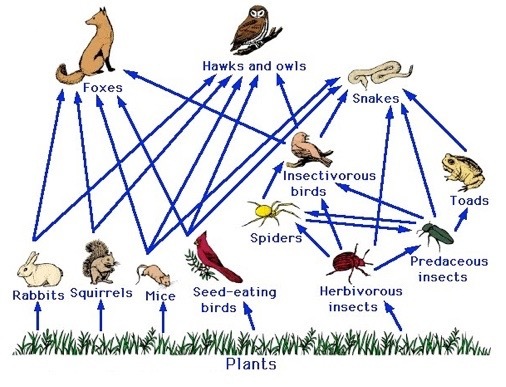 Substance must be quantitatively maintained, even while growing in structural complexity. The system’s corporeal stability requires negative feedback. Enmindedness is the organization of metaphysical constructs. By memorizing what is meaningful, the metaphysical consciousness grows, which, in turn, helps to maintain a substantial existence. The system’s expanding consciousness requires positive feedback. Non-linear systems are so webbed with positive feedback that the slightest twitch anywhere may become amplified into an unexpected convulsion or transformation. 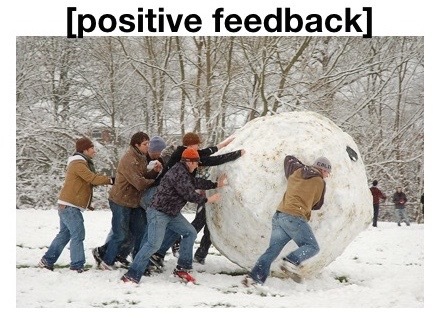 While chaotic systems amplify feedback [positive feedback] to transform themselves into new regimes, living systems use feedback to manage change and remain relatively stable [negative feedback]. The maintenance of the system’s corporeal OUTformation depends upon its consciousness and how it grows a memory for meaningful INformation, which can then insure its stability under increasingly broader circumstances. There is no limit on Objects of INformation. Consciousness grows exponentially, by positive feedback. Corporeality, however, derives from One Substance. There can never be more or less of the One Substance; therefore, OUTformation of Objects is a multiplication by division, a process made obvious by fractals. Earth is in homeostatic balance, by negative feedback. 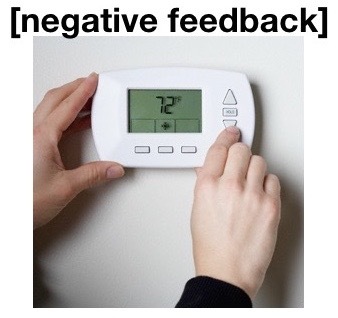 When combined, the positive and negative feedback systems do not cancel to neutrality, or to a null-effect, as would a +1 and a -1, if they were to be combined. Whereas exponential growth, driven by positive feedback, would eventually become unmanageable, the restrictive parameters of negative feedback effectively slow growth for the sake of sustainability and possible evolution. Here is an optional video excerpted from the Men’s Group Review, under Presentations. The video does have a little blip where the recording stops briefly; but don’t give up on it, as it will automatically resume in a couple seconds. Sorry I do not know how to fix that glitch. This eleven-minute presentation discusses how negative feedback affects positive feedback. While the body is stable, the mind can process and memorize INformation. While the mind sleeps, the body can repair and renew itself. One rests while the other is actively at work. By establishing this kind of mutually beneficial relationship, the relata, and their paired complementary realms, endure for some time as a fixed/organized/entity-system. Because humans, as complex beings, have evolved a higher order of consciousness (we can be conscious of being conscious), we are capable of intentional evolution. The hope is that we learn to master our consciousness for this purpose. Search this site by word or phrase.